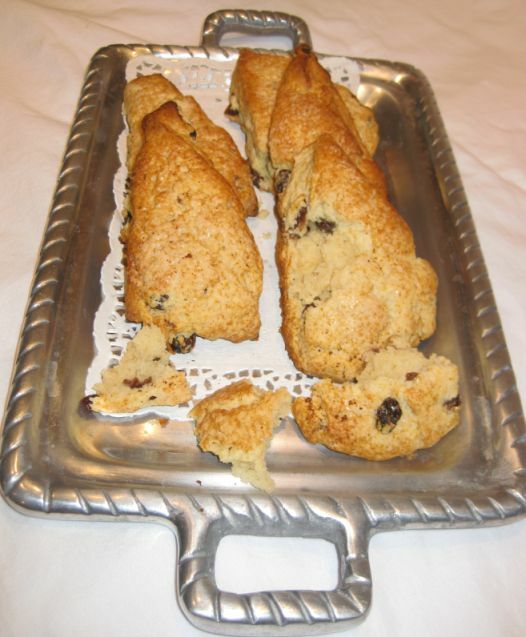 Scones are from Scottish origin and they are very popular in the United Kingdom, Canada, Australia, New Zealand, Ireland, and the U.S. They are great for breakfast or snack. 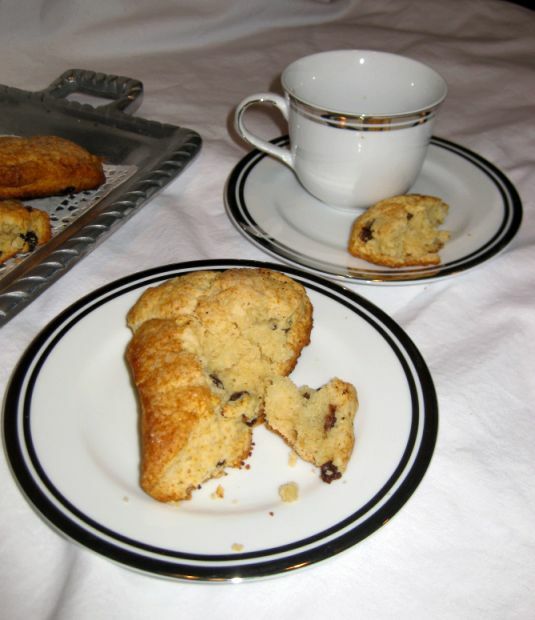 Scones have a lovely crisp crust with a rich buttery flavor and light and fluffy texture. 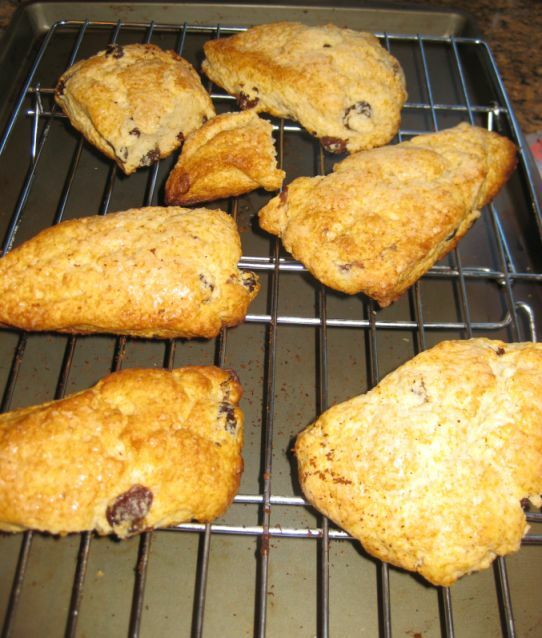 They are delicious cut in half and served with Devonshire cream or jam or lemon curd. 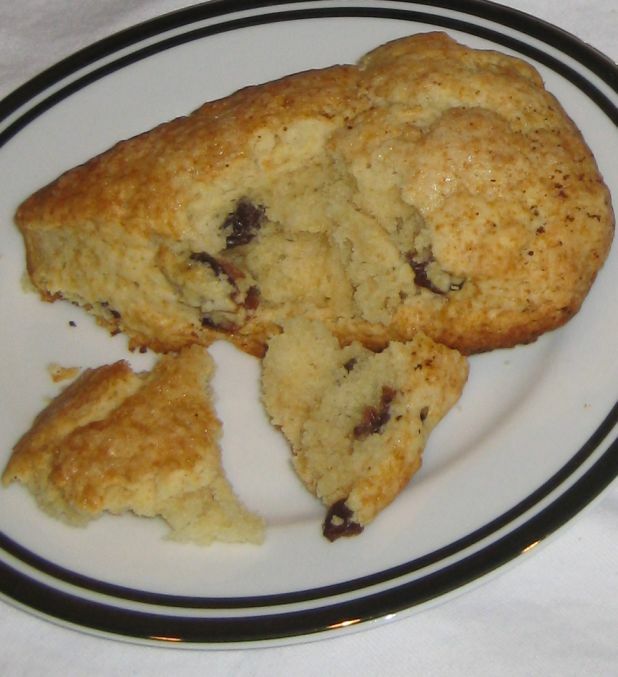 Scone dough is also very versatile and adding chocolate chunks or chips adds a delicious chocolate flavor that is sure the please the chocolate lover. 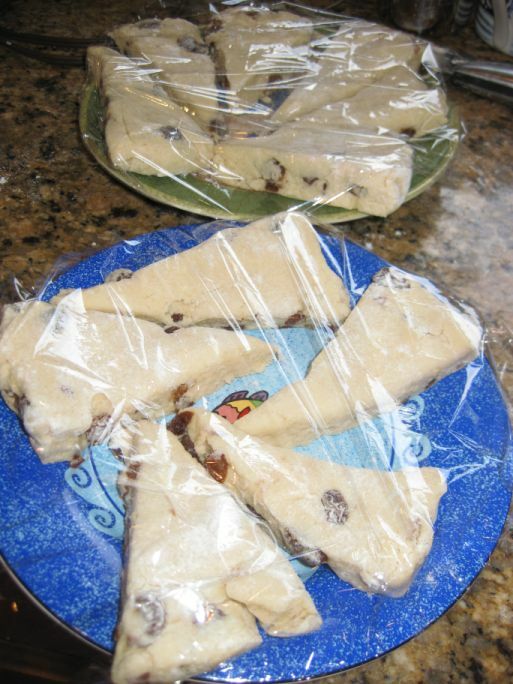 Here this scone is definitely a grown up twist on a simple raisin scone and taking it to a new level by soaking the raisins in rum for days. 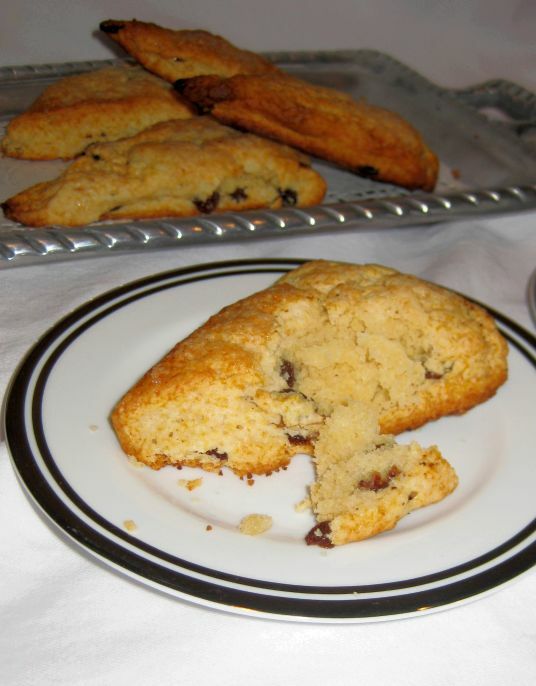 This scones are so delicious eaten right after baking them. I like the crunchy crust but I also like the soft interior and the rum raisin are just wonderful! 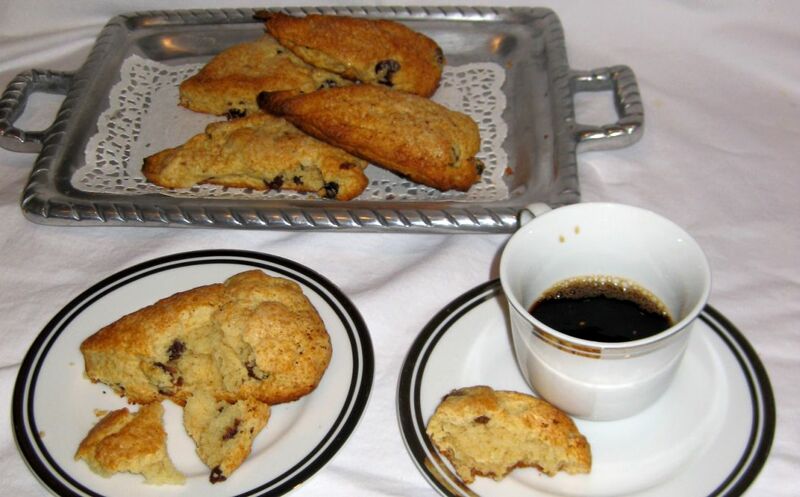 Perfect for a late afternoon snack with a cup of coffee! 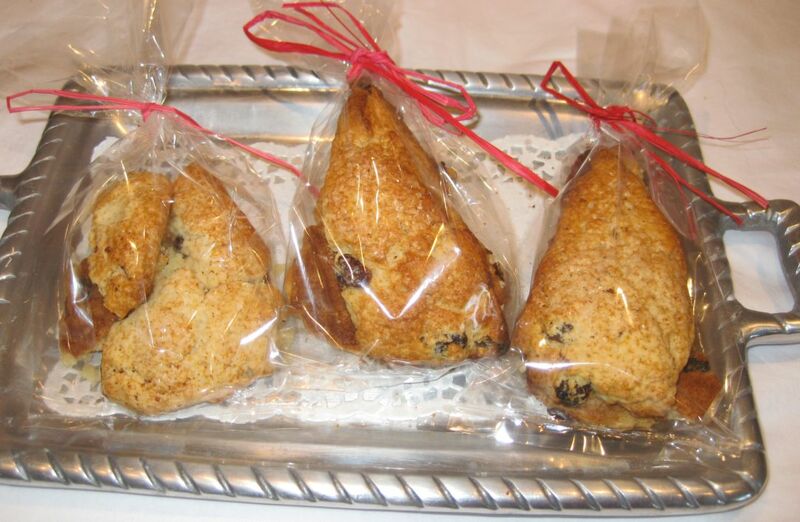 Close look at the Scones. 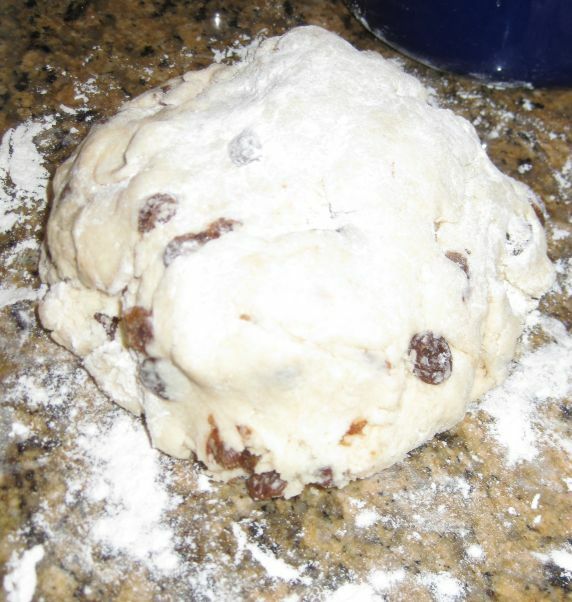 Before you start this recipe allow at least a few days for the raisins to soak in the rum. The longer they sit the more flavor they develop. 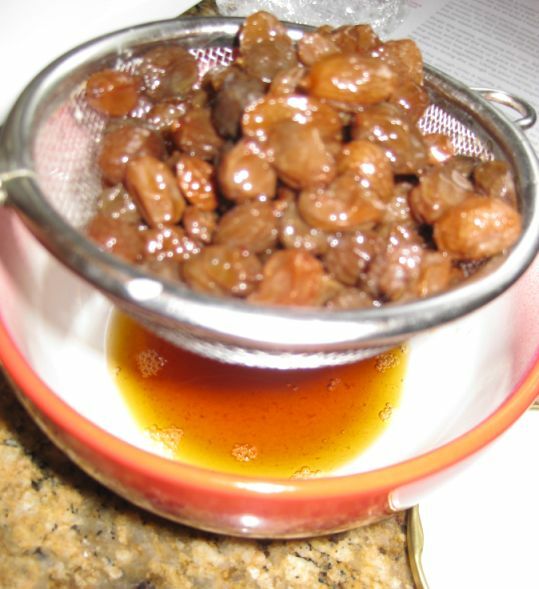 Raisins can be made up to 3 months ahead. 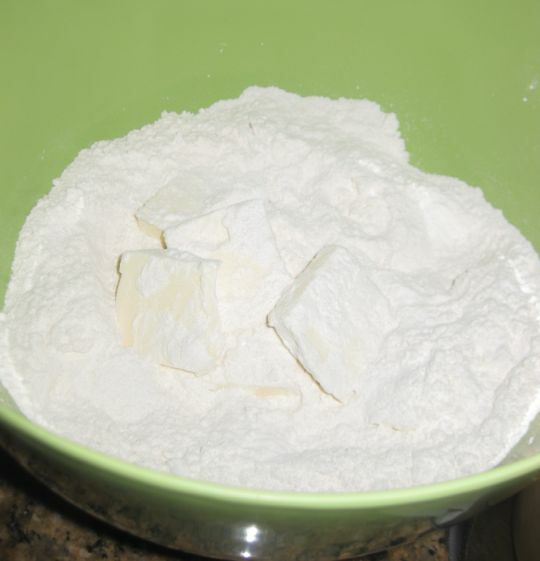 Combine the flour , baking powder, granulated sugar, and salt. Add the butter and put the bowl in the freezer for 5 minutes. 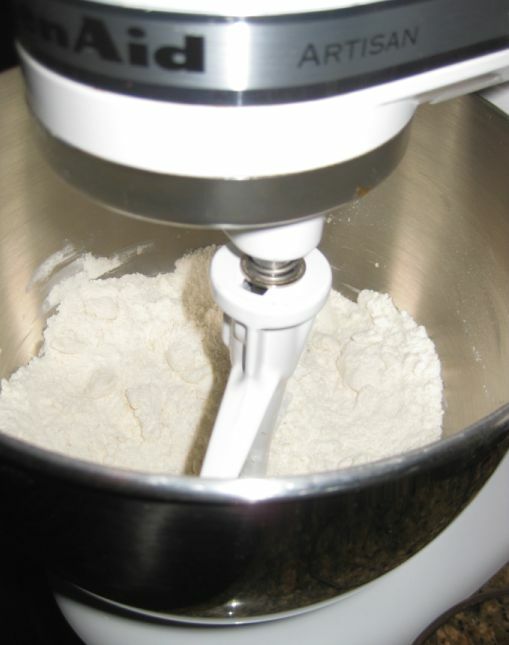 In the bowl of an electric mixer with the paddle attachment pour the flower mixture inside the bowl and then beat on low speed until the butter is broken up into pebble-sized pieces - about 3 minutes. 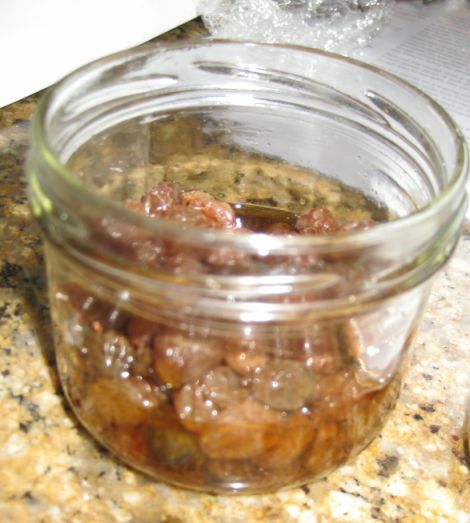 Here is my rum-raisin that been soaked for about 4 days. Drain the raisin, reserving the rum. 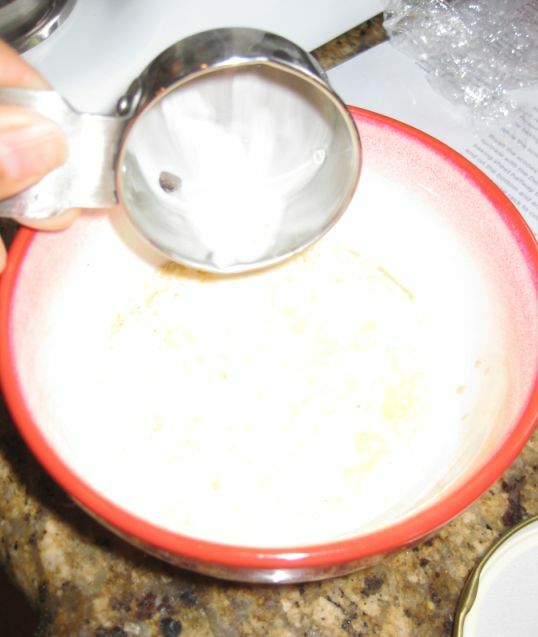 Add 1/4 cup of the strained rum to 3/4 cup of the heavy cream. 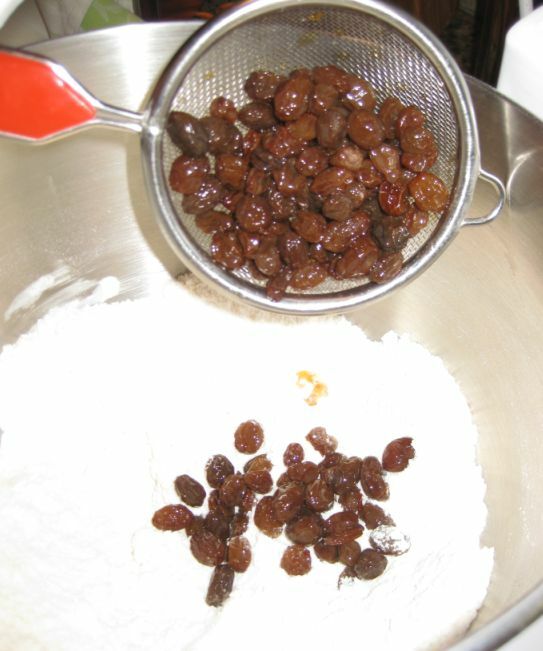 Add the raisins to the flour mixture. Beat once or twice to evenly distribute them. 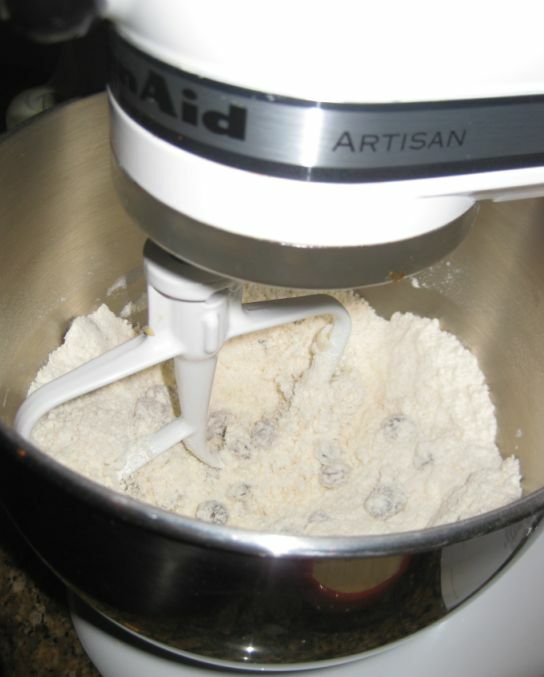 With the mixer on low speed, add the cream mixture. 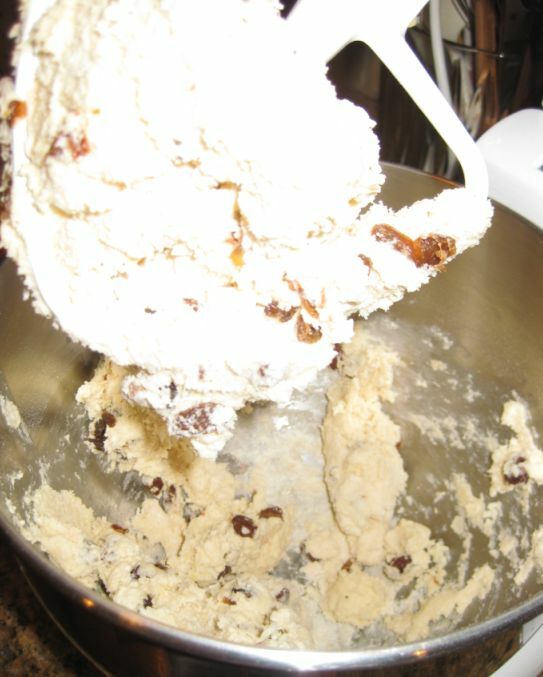 Mix just until the dough comes together. 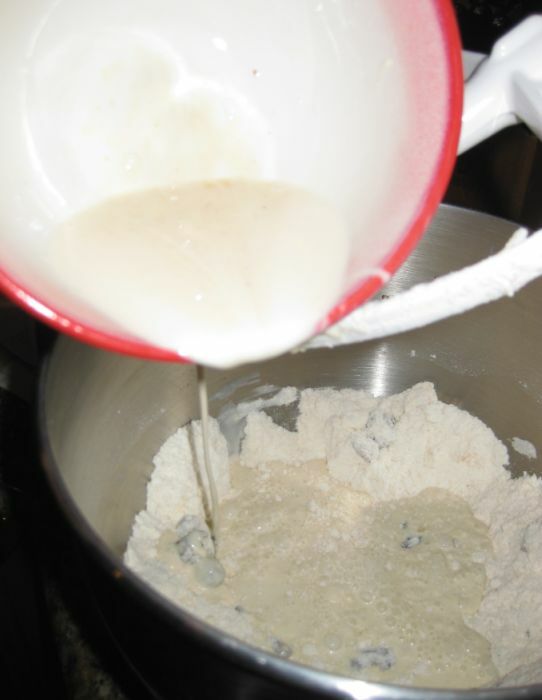 Use your hands, knead the mixture in the bowl to bring the dough completely together. 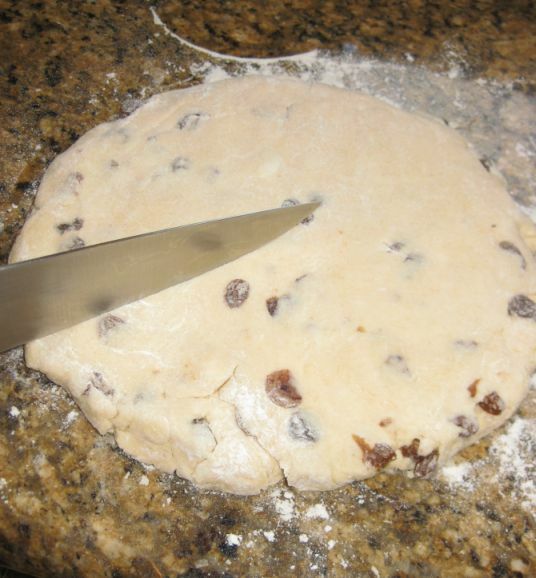 Turn out the dough onto a lightly floured surface and roll it into a 7 inch round, about 3/4 inch thick. 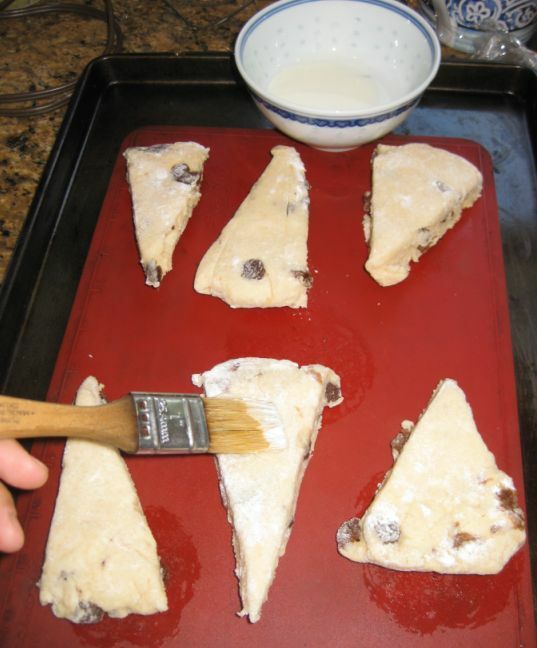 Using a sharp knife, cut the dough into 12 wedges..
Place the pieces onto a plate. Cover with plastic wrap and freeze for about 15 minutes or chill in the refrigerator for about 1 hour. 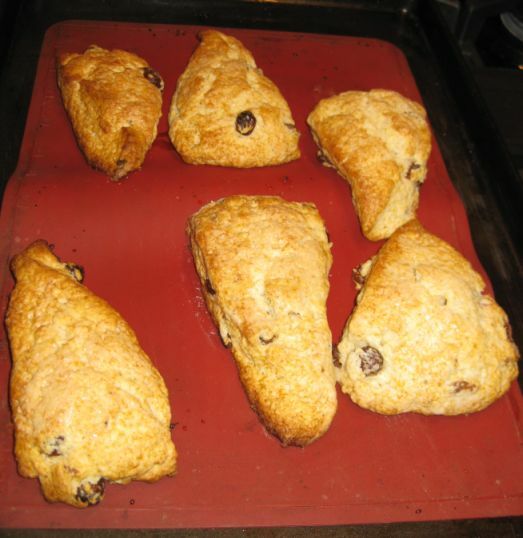 Remove the scones from the freezer and brush the top of the scones with the remaining cream. 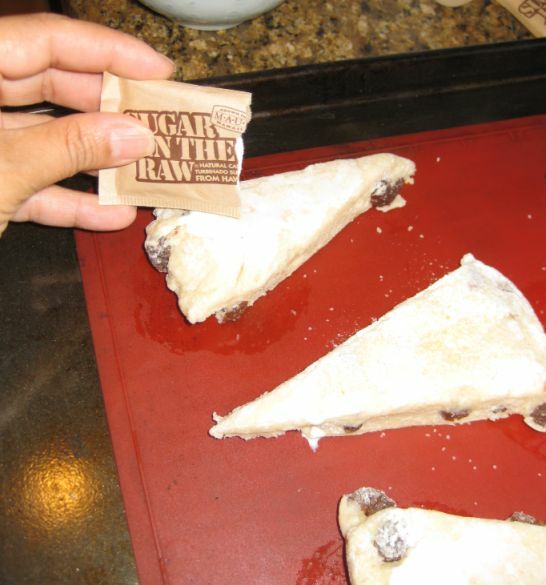 Sprinkle with Demerara or raw sugar on top of the scone. Once they are out of the oven transfer them to a cooling rack.